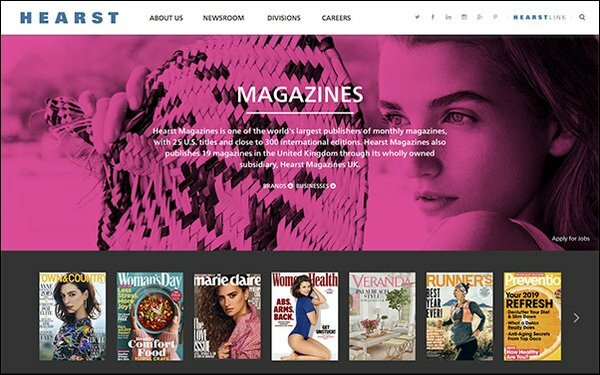 Hearst Magazines announced today a number of internal promotions across several of its brands, as the publisher continues to move "toward a more unified approach to sales and marketing." Nancy Berger is now senior vice president, publishing director and Chief Revenue Officer, overseeing Cosmopolitan, Women’s Health and Seventeen. Berger was most recently vice president, publisher and Chief Revenue Officer, Marie Claire. She succeeds Donna Kalajian Lagani, who announced today she is joining the Hearst Foundations, which are philanthropic resources for organizations working in culture, education, health and social services. Jennifer Levene Bruno, vice president, publishing director and Chief Revenue Officer, Town & Country, adds oversight of House Beautiful, Veranda and Elle Decor to her responsibilities. Bruno has led the business and marketing of Town & Country since 2012. She succeeds Kate Kelly Smith, who is retiring from Hearst Magazines in early March. Kevin O’Malley, senior vice president, publishing director and Chief Revenue Officerr, Elle, adds oversight of Marie Claire to his responsibilities. Blair Hecht is now publisher of Marie Claire. She was most recently associate publisher of Elle, where she managed the sales team for the past seven years.